Air New Zealand has confirmed fewer flights but bigger planes will operate out of Hokitika from next year. However, it says feedback from the main users will help set the new schedules. From May 2016, return flights between Hokitika and Christchurch are expected to drop from 24 a week to 13, following the replacement of the 19-seat Beech aircraft with 50-seater Q300 aircraft. The company yesterday signalled cheaper fares as a result of the economical change. However, Westland Mayor Mike Havill said he wanted assurance the flight scheduling would continue to suit the region, not the airline. He recently hosted a stakeholders meeting with Air New Zealand regional services manager Ian Collier, Among those in attendance were representatives from the West Coast District Health Board, Electronet, Development West Coast, Westland Milk Products and Department of Conservation. "There was a clear agreement within the business community that we send the message that when the new scheduling is set it is to suit the region, not Air New Zealand," Mr Havill said. He said it was understood the airline was proposing a minimum of two flights a day. A joint submission was being prepared to back up the consensus that the flights be scheduled around the business day. A large part of the timetable was being underpinned by the DHB, which needed the ability to fly in specialists first thing in the morning, Mr Havill said. "We need the ability for people to be able to leave the Coast early and get back later in the day. We don't want two flights wither side of lunch or just when they have a spare plane lying around." The company said in a statement yesterday it was planning ti take feedback from the stakeholders meeting into consideration. "We are currently awaiting a formal response from the Mayor’s office as to how we best meet the community’s needs before confirming the new schedule.” Later this month, Hokitika Airport will become the only West Coast regional link with the airline when Air NZ drops out of Westport, replaced by Sounds Air with nine-seater planes. Westport was one of three towns to lose its air services when the airline announced it would be progressively retiring its regional fleet of 19-seater Beech 1900D aircraft by August 2016. The national carrier said it had been losing $ million a month over the past two years on routes served by the Beech fleet. It has forecast that airfares will drop by up to 15% on the large capacity flights. “Where we transition a route to larger 50-seat aircraft we expect to be able to reduce the average airfare by 15% because of the better economics of scale achieved from distributing fixed operating costs across 50 passengers than just 19,” Air NZ said in a statement. Mr Havill said with the “sharper” pricing it was hoped more West Coast people would choose to fly over the hill rather than travel by bus or car. Use it or lose it - that's the stark warning to Far North residents as Great Barrier Airlines launches its three-times daily service from Kaitaia to Auckland today. The airline replaces Air New Zealand, which took off from Kaitaia airport for the last time at 10am yesterday. The national carrier also canned its direct Whangarei-Wellington flights. Far North Holdings boss Andy Nock, whose council-owned company operates the airports at Kaitaia and Kerikeri, warned people not to take the new service for granted. "We can't expect Great Barrier Airlines to subsidise our air links with Auckland so it's up to us all to make the route a viable one." A scheduled air service between Kaitaia and New Zealand's biggest market was vital for economic development in the very Far North, he said. "We need to use it or we'll lose it." Great Barrier Airlines will use a 12-seat Cessna Grand Caravan 208B aircraft it bought especially for Kaitaia route with a nine-seater Piper Chieftain as a back-up. The new service promises to be better than Air NZ's with more frequent departures and a flight leaving at 7.30am on weekdays. One of the main gripes with the Air NZ service was that the first flight left too late for business people to get a full day in Auckland. Great Barrier Airlines general manager Murray Pope said he was "hopeful we can pick up the baton and run with it, and follow on the good work that was initially done by Air NZ". The inaugural flight will leave Kaitaia at 2pm today, return about 5.30pm, and depart again at 7pm. Air NZ will continue to fly the Kerikeri-Auckland and Whangarei-Auckland routes using the 50-seat Bombardier Dash 8 Q300. Meanwhile, Air NZ spokeswoman Emma Field said the last direct flight from Whangarei to Wellington had taken off on April 3 - with only seven customers on board. "Unfortunately, some routes such as Whangarei to Wellington were struggling to support a 19-seat service and simply not economically sustainable." An open day to launch the new Eastern Bay air service to be operated from today by Air Chathams at Whakatane Airport is being termed a huge success after thousands flocked to it to take in the fun. Whakatane Mayor Tony Bonne said he had worked at the event on Sunday collecting the gold coin donation entry fee as part of his duty with the Whakatane Sunrise Rotary group and he was astounded at the number of people who turned up. “It just blew us away. Whakatane came out in force to welcome Air Chathams – there is no two ways about it.” Mr Bonne said he spent a lot of time on the entry and exit gate during the day. “I would ask people as they left what they thought and they said they thoroughly enjoyed it. It was a great weekend – the community came out in support of the 100 years since Gallipoli and then they came out to the airport to have a bit of leisure time.” He said the open day marked a good start to the relations between Whakatane and the Chatham Islands. “The Chatham’s mayor was unable to come because of Anzac Day responsibilities … his Dad was in the Maori Battalion. So he sent one of his councillors in his place and she really enjoyed it.” He said the key now was for Whakatane residents to support the service so it continued. For most of the passengers on Air Chathams’ inaugural flight into Whakatane yesterday, it took eight times as long to reach Auckland Airport as it did to fly home. A 19-strong contingent from the Eastern Bay took an early-morning bus ride to Auckland to be aboard the Convair 580 for the first flight into Whakatane following the departure of Air New Zealand. Mayor Tony Bonne, councillors, council staff and business, tourism and media representatives joined Air Chathams staff and a small number of paying passengers for the special flight, captained by airline owner Craig Emeny. With his son Duane in the co-pilot’s seat, Mr Emeny provided his first passengers with a smooth ride, from the moment they checked in at the Air Chathams counter at Auckland Airport through to landing in Whakatane a short time later. Everyone on board was noticeably impressed with the airline’s friendly professional service and the 50-seater aircraft’s comfort, especially after spending four-and-a-half hours on a bus and experiencing the nose-to-tail crawling pace of an Auckland motorway. Air Chathams will also have an 18-seater Metroliner servicing the Auckland-Whakatane route but it is the larger Convair that Mr Emeny is hoping to use to build visitor numbers to the region. For frequent flyers used to the cramped conditions of the Air New Zealand Beechcraft, the Convair is like flying business class. It has an abundance of leg room, overhead lockers for your carry-on luggage, an easily accessible toilet and room to walk around in the aisle when the seatbelt light goes off. As Mr Bonne puts it: “We’ve had a 19-seater minibus coming in and now we’ve got a 50-seater coach”. “We’ve got a service with two pilots – the other airports [abandoned by Air New Zealand] have all gone for single-engined one-pilot services – so our service is still superior and it does give us opportunity for expansion,” he said. Being a bigger plane everyone no longer automatically gets a window seat on the Convair 580 but there’s the bonus of being seated alongside your travel companion, or, if you’re travelling alone, some other interesting person. If not, rest assured it’s a quick 35-minute flight with hardly time to open the newspaper and more time spent ascending and descending than flying above the clouds. Air Chathams is keen to provide the Eastern Bay with the best air service possible and is hoping the community will support the airline in the same numbers and with the same gusto they supported the open day on Sunday. Mr Bonne shared this hope: “We had 5000-odd people go out to the open day. We now need all those people to always look at Air Chathams as the first option when they choose their flights”. Air Chathams is now flying regular daily flights between Whakatane and Auckland with fares priced from $89 to $339. Mr Emeny said due to gate availability in Auckland, and travel connections through Auckland for Whakatane residents, the company had adjusted the times of the morning and afternoon flights out of Whakatane Airport. The morning flight now leaves 10 minutes earlier at 7.05am (Monday to Friday) and the afternoon flight also leaves 10 minutes earlier at 4.20pm (every day except Saturday). There is also a change to the time of the last flight out of Auckland, now scheduled for 5.45pm (every day except Saturday) instead of the previous 6pm. Charter services are also available on the 18 and 50-seater aircraft with Air Chathams able to cater to the specific requirements of groups including an on-board catering and beverage service. The beautifully restored DC3 is available for special charter of scenic flights. Tauranga-based Sunair Aviation Limited is introducing a range of new services linking Whakatane to other regional centres. From Monday Sunair will offer scheduled weekday services from Whakatane Airport to Hamilton, Gisborne and Napier at times to suit business travellers. Sunair spokesman Ryan Bergman said the company was “very excited” about the development of the new routes and providing for business and private traveller links between the centres. “Sunair has been providing air services to and from the Bay of Plenty for more than 25 years and we believe there is both a demand and considerable potential to expand scheduled flights linking North Island regions. “We’re delighted to include Whakatane in our route structure and look forward building a solid relationship with the business and wider community in the Eastern Bay of Plenty,” Mr Bergman says. Services to and from Whakatane will be serviced by Sunair’s fleet of 10 Piper Aztec aircraft, each of which can carry five passengers. Mayor Tony Bonne has applauded the Sunair service initiative. “There is a definite gap in the market for scheduled services between regional centres and I think businesspeople will welcome the chance to be able to carry out a full day’s work in Gisborne, Napier and Hamilton without having to spend half of their time on the road,” he said. “We wish them well and encourage the community to support these new services.” Flight times have been scheduled to suit business travellers, with departures for Gisborne and Napier at 9.30am, Monday to Friday. Afternoon return flights depart from Napier at 4.00pm and Gisborne at 5.00pm, arriving at Whakatane Airport at 5.30pm. There will also be a Gisborne-Whakatane morning flight, departing at 7.00am and arriving in Whakatane at 7.30am. Whakatane-Hamilton flights will also be available Monday to Friday, departing Whakatane Airport at 7.45am and 5.45pm. Return flights will depart from Hamilton at 8.45am and 6.45pm, arriving at Whakatane at 9.15am and 7.15pm respectively. Fares will be $290 one-way, including GST. Bookings can be made online (www.sunair.co.nz), or by phone (0800 SUNAIR). Just four people boarded Air New Zealand’s final flight out of Westport this morning, bound for Wellington. After 68 years of operating out of Westport, Air New Zealand announced in October last year it was abandoning the service. Air New Zealand regional airlines general manager Sarah Williamson said today that pulling out was a hard decision. “It’s a pity that the aircraft economics make it difficult for us to continue to fly the aircraft… The Beech Fleet have been around in Air New Zealand flights for a long time… [But] in order to cover the costs we needed to sell 15 of the 19 seats,” she said. “[We] haven’t been selling those numbers.” Picton-based Sounds Air takes over the service this evening, offering more flights and a better timetable, but a smaller (nine-seater) plane. One of today’s departing passengers, Debbie Daniels, said she had been a regular user of the service in the past, and was not bothered by the change in the service provider. “We are lucky to have it… If you don’t use it you lose it.” Ms Daniels said the increase in the cost of tickets would not stop her from using the service. “It doesn’t worry me because if you want to go somewhere you have to pay… I think it’s brilliant having it here.” Sounds Air will charge a fixed price of $199 for the 40-minute flight. Air New Zealand charged between $99 and $400, depending on when a ticket was booked, for a 50-minute flight. A woman, who declined to give her name, was among passengers on today’s last flight into Westport. “I look at that Sounds Air plane, the whole plane only looks as big as the wing on that plane,” she said, pointing to Air New Zealand’s Beech. However, she would be taking a flight on the Sounds Air plane next month, and would “see how it goes”. Hamilton-based plane enthusiast Steve Lowe, who had been visiting in Christchurch, made a special trip to Westport this morning to witness the last flight. An aviation historian, Mr Lowe had been putting together a history of Westport’s air services. He said final flights by Air New Zealand in and out of Westport were under the command of Captain Andrew Mercer, and First Officer Jason McDonald. Sounds Air will offer 26 flights a week – six more than Air New Zealand – with earlier morning departures and later evening return flights to suit business passengers. Mondays and Fridays – the busiest days of the week – will feature three return flights. Tuesdays, Wednesdays and Thursdays will offer two return flights. The first flight will leave Westport at 6.15am. The last flight will return at 6.40pm. There will be one return flight on a Sunday evening. Development West Coast has provided a commercial loan to buy one of the two $3 million former Royal Australian Flying Doctor Service PC12 planes for the service. Sounds Air has a six- year deal with the Buller District Council which will guarantee the first three seats per flight. Sounds Air has just announced a similar deal with the Taupo District Council to take over the Taupo-Wellington service, which Air New Zealand also abandoned today. Sounds Air managing director Andrew Crawford told The News recently that the airline would need to buy another PC12 for the route. He said Sounds Air was also looking at a Greymouth-Wellington service and a Blenheim-Napier service. However, he promised Westport’s new service would not suffer if any of them went ahead. “Westport is a guarantee.” Sounds Air’s six-year agreement with the Taupo council means the airline will provide at least three return flights on each week day and two return flights on Saturdays and Sundays, starting as soon as possible. In return, the council will guarantee the first three seats per flight. Air New Zealand today also abandoned its Auckland to Kaitaia service, where Great Barrier Airlines is stepping in, and Whakatane to Auckland, where Air Chathams will take over. As well as pulling out of those towns, Air New Zealand’s regional carrier Eagle Air will scale back on serving other towns over the next year and will cease as an airline after nearly 50 years of flying. The first Sounds Air flight will leave Westport at 4.50pm today. Wine lovers will likely be able to zip between Hawke's Bay and Marlborough on a new air service as soon as August. Sounds Air managing director Andrew Crawford said there was a "high likelihood" a service would be up and running between Napier and Blenheim. "Our hands are tremendously full, as you can imagine," he said, of the carrier's expansion. 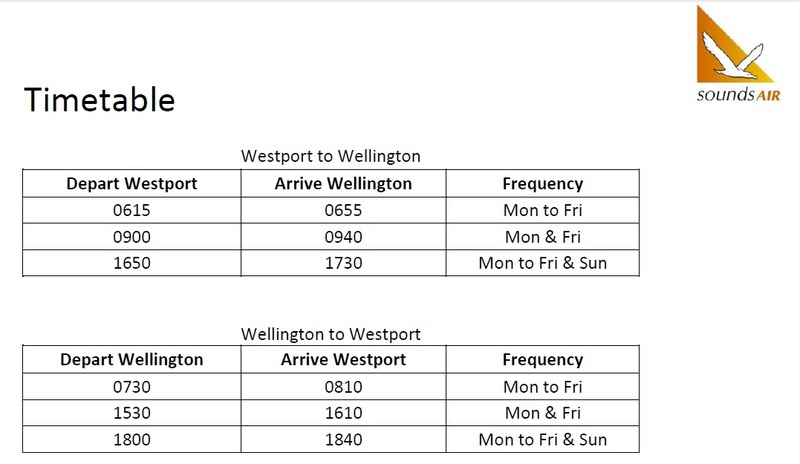 It has recently picked up two services which are being dropped by Air New Zealand: a Westport service starting tomorrow, and a Taupo-to-Wellington route starting soon. A nine-seater Pilatus PC12 plane could be flying between Hawke's Bay and Marlborough as soon as August. "Securing the Taupo service, Hawke's Bay is looking more likely because it means we've got to buy another aircraft." A Hawke's Bay service, first tipped to be in the pipeline last month, would initially consist of two return flights on Mondays and Tuesdays - one in the morning and one at night, Mr Crawford said. The Marlborough region is the country's biggest wine producer, while Hawke's Bay is the second biggest. "What we're trying to achieve is for people in the wine industry and people who want to commute between the two wine regions, of which there are a lot." But it could also be used by tourists and locals. The company currently has two Pilatus PC12 planes, and is considering buying a third. The Swiss-made planes seat nine. Mr Crawford said people should not be fooled by the aircraft's single engine - the flight from Napier to Blenheim would take only 45 minutes. "They're pressurised. They go high and fast - very fast. They're a turbine-powered aircraft. The biggest user [of them] is the [US] air force." 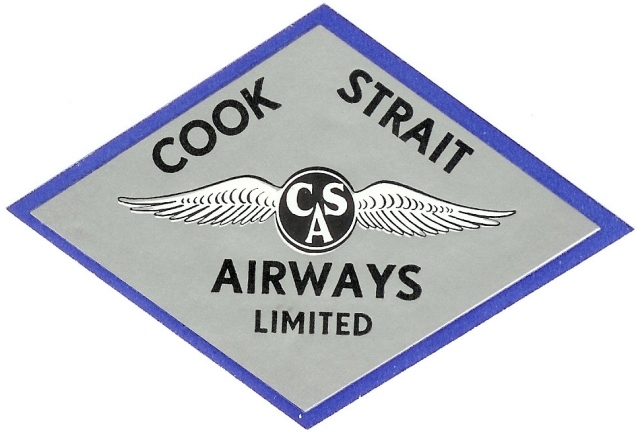 Sounds Air has operated for more than 25 years and is regarded as a specialist Cook Strait flyer. The company has its own airport near Picton and also links Nelson, Wellington, Paraparaumu and Wanganui. Mr Crawford said the cost for passengers of a Napier-Blenheim service had yet to be worked out. A check last night showed the cheapest fare on the national airliner from Napier to Blenheim on Saturday and returning on Sunday was $537. Napier Mayor Bill Dalton said the proposed service was "very exciting for Hawke's Bay". "I think it's fantastic, not just for Napier but for the whole of Hawke's Bay. We choose to live in Napier and Hawke's Bay because of the lifestyle, but we do need connectivity with the rest of the country and the world. Any connectivity coming in and out of Napier has got to be good for tourism." Hawke's Bay Airport chief executive Nick Story said the company was "very much looking forward" to working with Sounds Air. "The Sounds Air proposal for a direct air link between Hawke's Bay and Marlborough is great news for our wine industry in particular, and also has the potential to stimulate tourism growth in the respective regions over time." Last month, the airport announced a $5 million terminal upgrade and a new name - Ahuriri Airport Hawke's Bay. Yesterday, 28 April 2015, Air New Zealand withdrew from Whakatane, Kaitaia and Westport as well as the Taupo-Wellington route. Beech 1900 ZK-EAE operated the final flight from Whakatane to Auckland (EAG532) and the final return flight from Auckland to Kaitaia (EAG602 and EAG603). Air Chathams Convair 580 operated the first flight to Whakatane (CVA580). Great Barrier Airlines have yet to start their service to Kaitaia. Beech 1900 ZK-EAI operated the final Taupo-Wellington service (EAG501). Sounds Air are now moving towards picking up this route. Beech 1900 ZK-EAN operted the final return flight from Wellington to Westport (EAG587/EAG588) under the command of Captain Andrew Mercer and First Officer Jason McDonald. In the afternoon Sounds Air Pilatus PC12 flew the first return service from Westport to Wellington (SDA988/SDA989) under the command of Willie Sage and Naama Gueta. Sounds Air's Pilatus PC-12 ZK-PLS arrives from Wellington on 28 April 2015. ...while outside the band played. Now boarding, Sounds Air flight 988 to Wellington... with Damien O'Connor MP for Tasman-West Coast being one of the passengers. Sounds Air flies 13 return flights between Wellington and Westport. 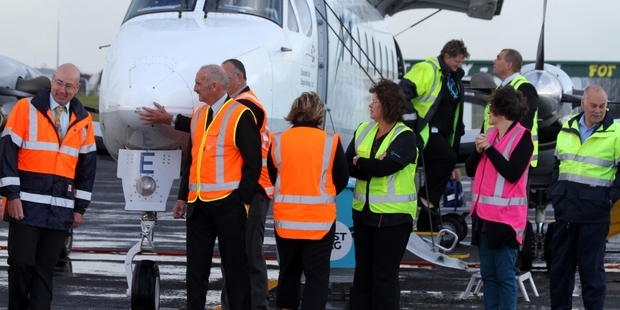 Air New Zealand subsidiary Eagle Air operated its final service into Westport this morning. The final service was operated under the command of Captain Andrew Mercer and First Officer Jason McDonald in Beech 1900D ZK-EAN. It was ironic that the flight's captain head the same surname as the legendary Captain Bert Mercer who began air services on the West Coast in 1934. 13 passengers flew into Westport on Eagle flight NZ2587 while only 5 passengers flew out on the last flight, NZ2588. Just a handful of spectators came to watch the final flight which which ended 67 years of air services to Westport by the national carrier. "Haere ra, departing regional New Zealand, Eagle Airways"
Today marks the last day of Air New Zealand services to Westport... I had intended to do a pictorial post on the NAC and Air New Zealand service to Westport but got somewhat inspired and started writing a fuller history... Over the next few months I will do a series of posts. In the meantime some are already done. 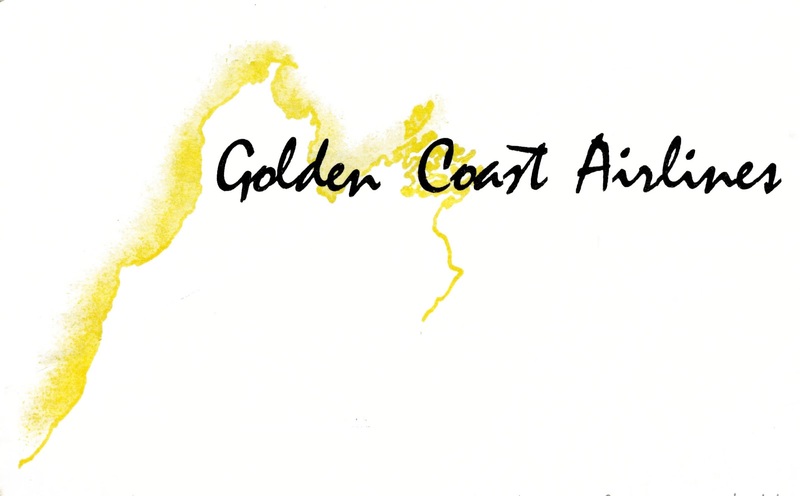 The post on Golden Coast Airlines has been updated. HQ Hamilton - Crews Nelson - Maintenance??? Fancy a part of a DC-3 in your backyard?? ?